Welcome to High Noon Highlights, a place to catch up on everything you missed in Oklahoma State athletics. 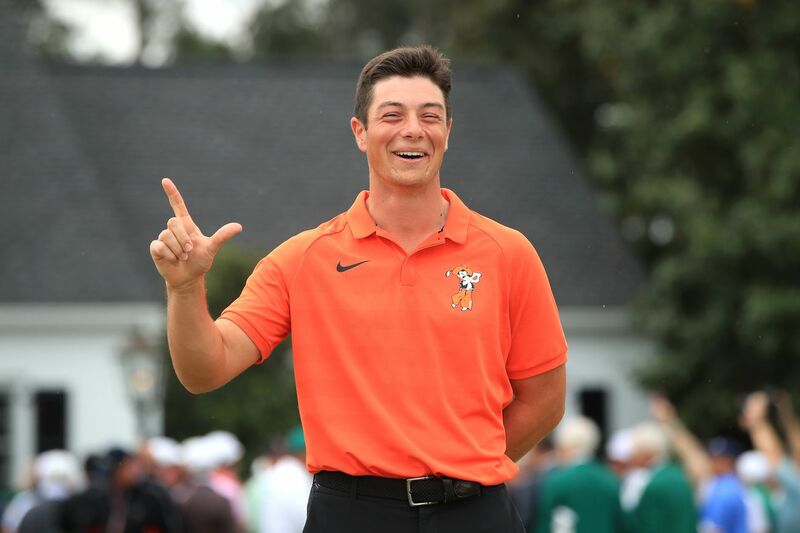 It was awesome to see Oklahoma State golfer Viktor Hovland perform so well this weekend at the Masters. He shot -3 during the weekend, and had the lowest amateur score. That’s pretty awesome, but to then get to join Tiger Woods in Butler Cabin after the tournament is over had to have been pretty surreal as well. The Cowgirls picked up three wins in Ames this weekend, moving their record to 32-11 on the season. They swept a doubleheader on Saturday by winning 12-3 (5 innings), and 6-3, then getting a 12-5 win on Sunday. Also, Rylee Bayless, have yourself a series!!!
. @Ms_Bayless9's final line at the plate this weekend: 10-for-12, 13 TB, 5 R, 4 RBI, 3 2B, 2-for-2 SB, 1 BB, .833/.846/1.083 slash line. Gundy was very candid in this interview he did with Bill Haisten of the Tulsa World, something we really haven’t seen too much in the recent months. Be sure to give this a read whenever you get the chance. “The first reason that we won only seven games was me,” Gundy said. “I went back and self-scouted myself, and I was to blame for the majority of it. Because of the way that I handled the team. The majority of it was me. Most of the years, I’ve done a pretty good job. Last year, from Jan. 1 until our bowl game (on Dec. 31), I didn’t do a good job. The 2019 season is going to be a big test for Gundy & Co., and I am hoping that this sense of energy that Gundy is bringing will continue to carry over into August.